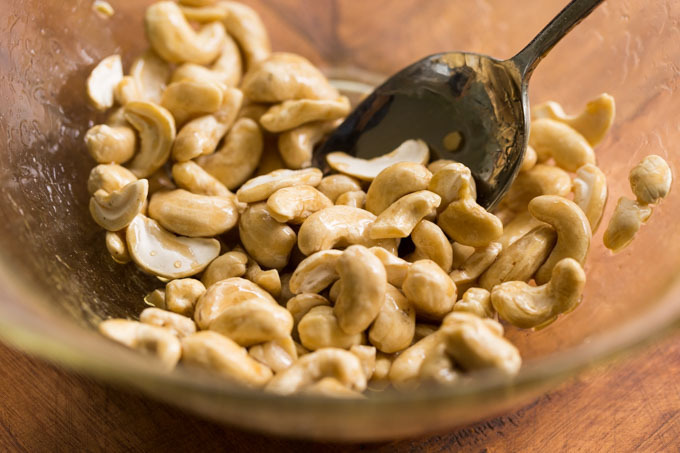 Maple Glazed Cashews are the perfect sweet and salty snack, and they’re made with just three ingredients: raw cashews, maple syrup, and salt. Plus, they’re ready in less than 15 minutes! 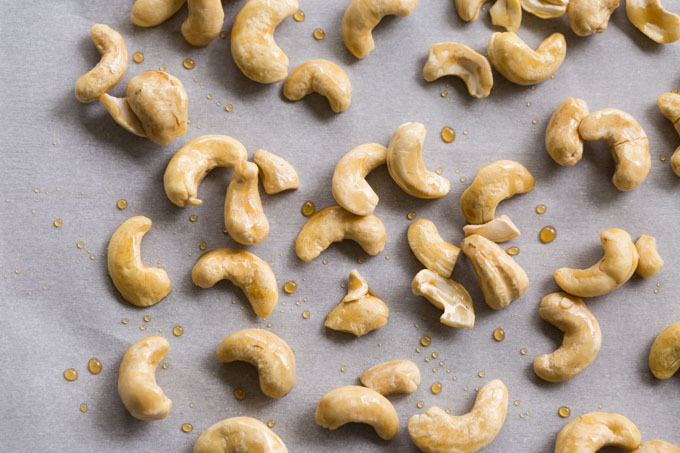 This ultra simple recipe for maple glazed cashews requires only 3 simple ingredients (unsalted raw cashews, maple syrup, and a touch of salt) and 15 minutes. Really. 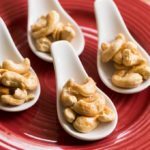 I like to serve maple glazed cashews as a snack when I host friends and family, or when I’m in charge of bringing snacks to an event. 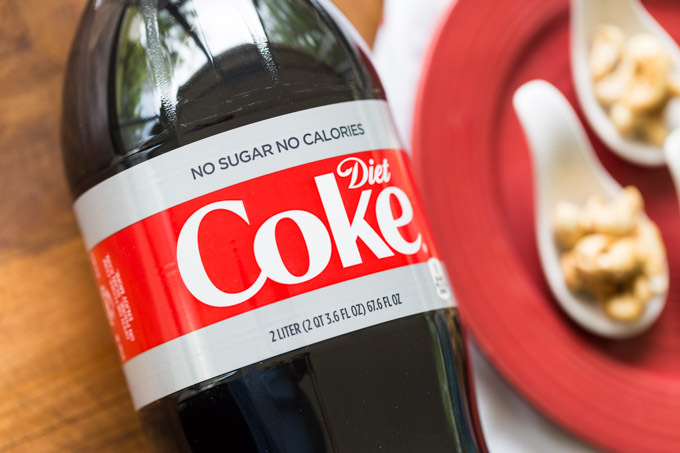 These maple glazed cashews pair very nicely with Diet Coke®, too. Have you seen the new packaging with its distinctive stripe? I picked up a 4-pack of Diet Coke® 2 liters at Sam’s Club. 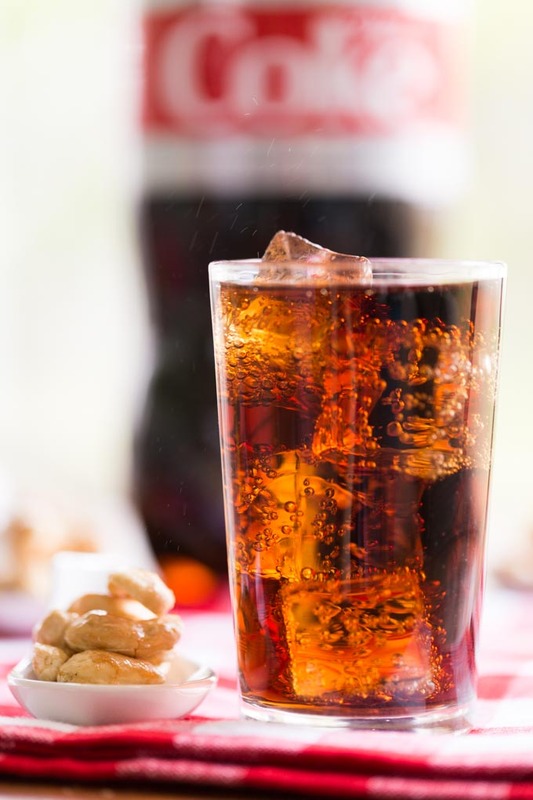 It’s very easy to spot, and there’s enough Diet Coke® included to serve a pretty big crowd. 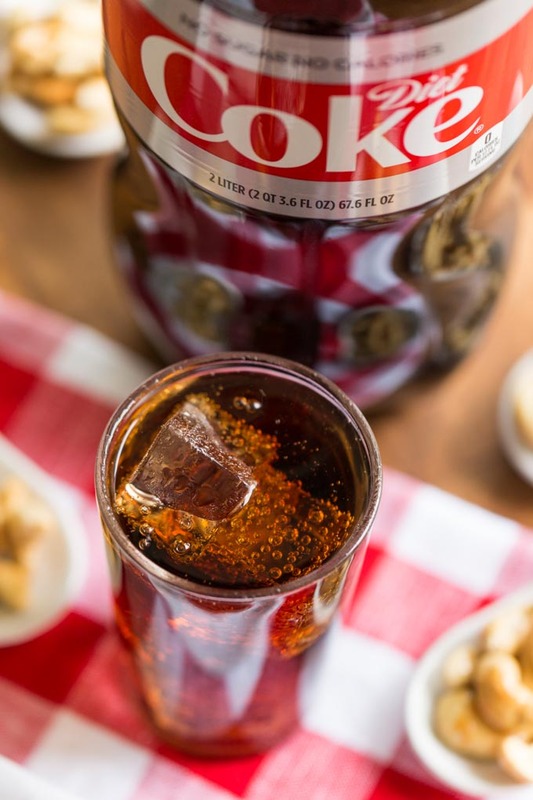 Having Diet Coke® on hand means I’m always ready to set out a snack spread. Line your baking sheet with parchment paper or a nonstick baking mat. Once the cashews are coated in maple syrup, they will be quite sticky- especially after being heated! 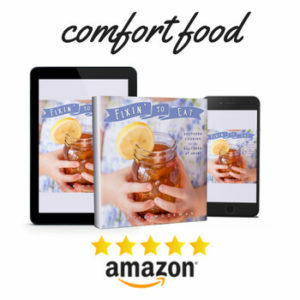 If you don’t have maple syrup, use honey, but thin it out with a touch of warm water so that it’s nice and runny (like maple syrup). If you don’t like salt, you can leave it out; but I prefer to add a little salt to balance all the flavors. I like to use unsalted cashews so I can control the level of salt. That way, I can get the ratio of sweet to salty just right. 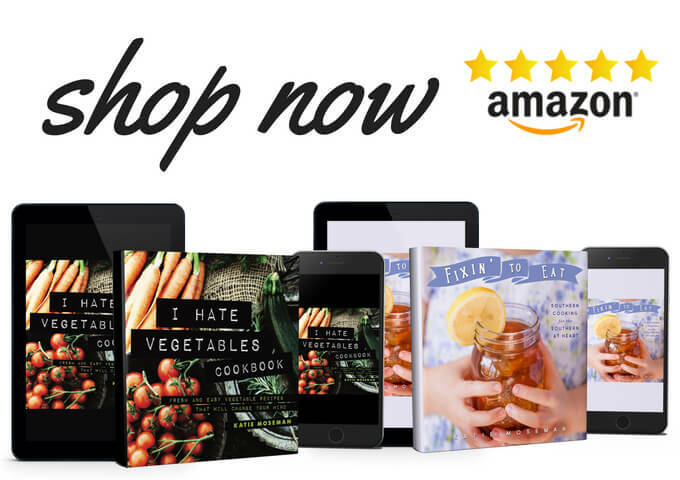 You can use the same recipe to roast raw almonds. 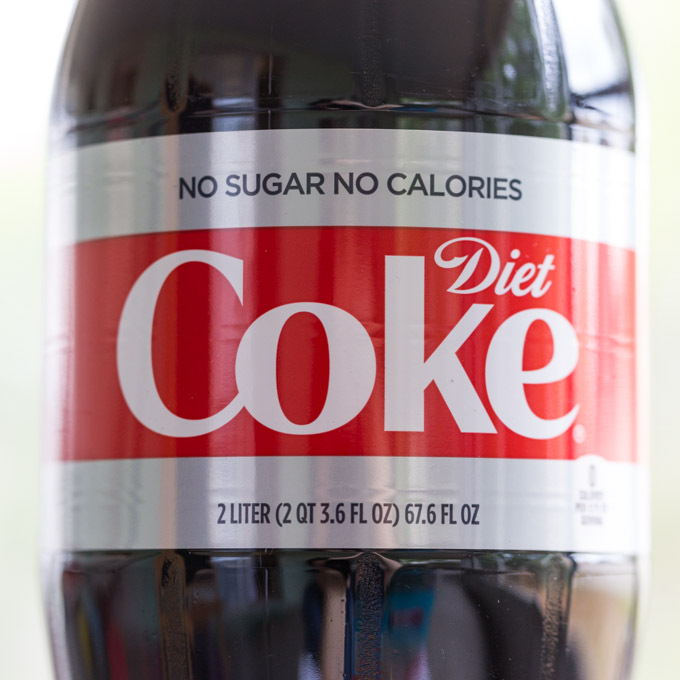 Remember to look for Diet Coke® in the new packaging at Sam’s Club! Preheat oven to 375 F and line a baking sheet with parchment paper to prevent sticking. 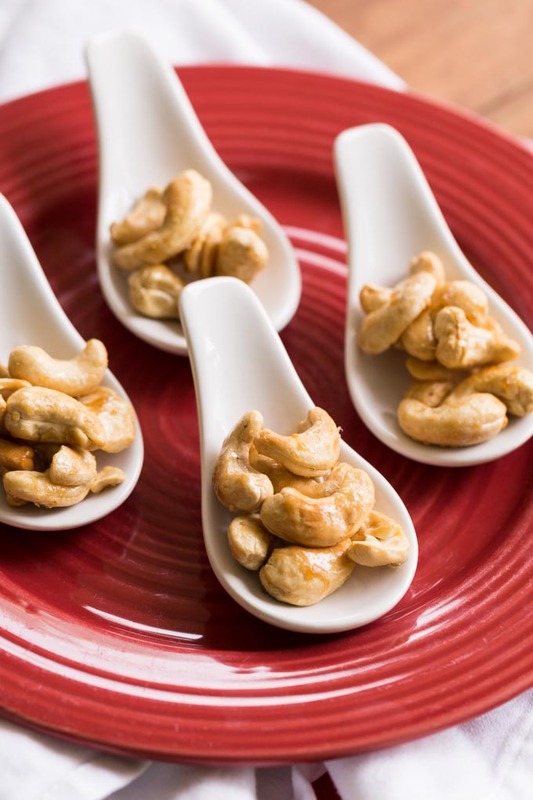 In a mixing bowl, combine the ingredients and stir until the cashews are evenly coated. Pour the mixture on the parchment paper and spread out the cashews. Bake for 10 minutes, until the cashews color slightly. Do not overcook; they will burn quickly. Let cool until just barely warm, then serve. Or let cool completely and cover airtight to store. 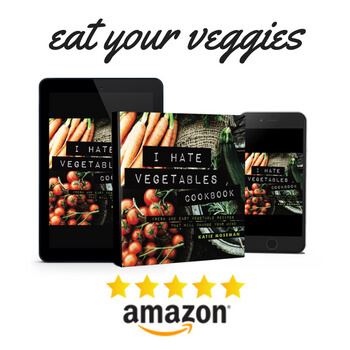 Double the recipe ingredient quantities to make 8 servings.